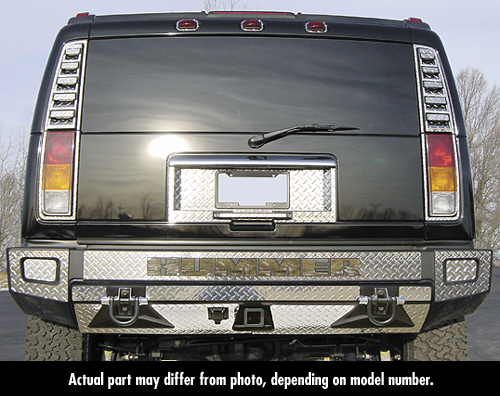 This is the most cost effective way to add personalization to the rear bumper of your H2. Get the whole kit in either diamond-plate or mirror finished stainless steel. Letter Inserts sold separately.